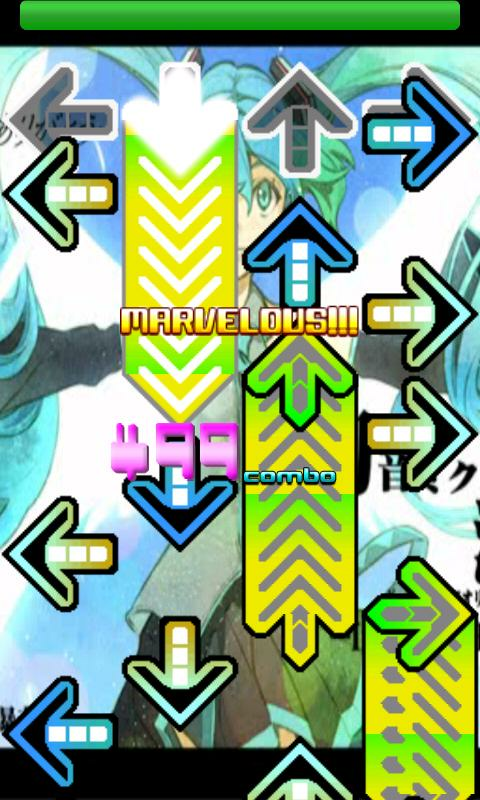 This application was based on the PC game StepMania. It requires separate data to play. Data must be provided by the player. The procedure for adding data is described below. ・Create a StapMania folder on the root of the SD card. If no StapMania folder is found on startup, one will be automatically generated. ・Create a group folder in the StapMania folder. Any name can be given to the folder. If the StapMania folder was generated automatically, a folder called Songs will be automatically generated as the group folder. ・Multiple group folders can be created. 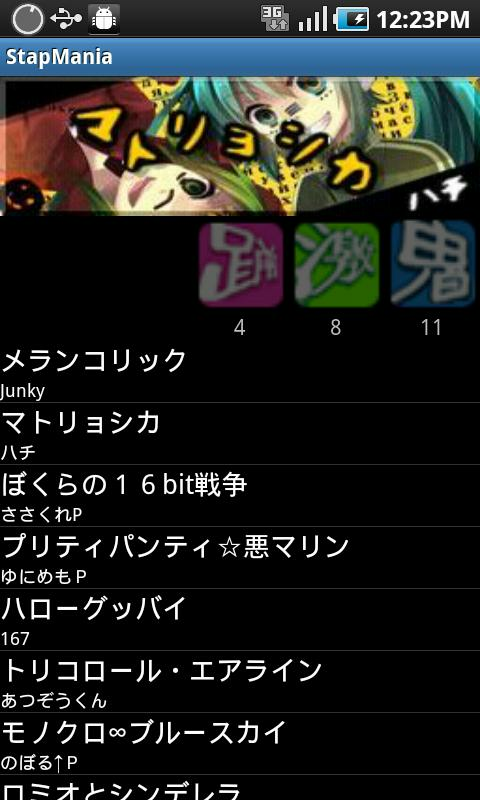 ・Place folders containing an MP3 file and an SM file within the group folder. Any file names or folder names can be used. Multiple folders can be created. The recommended system specifications are shown below. The application may not run stably on some models and under some operating environments. Whenever possible, close down other tasks before playing. If the timing appears to be off, adjust the offset value on the Options screen. Additional functions will be added through future updates.